To keep this book in stock, it will now be "printed on demand," which requires us to offer it at a higher price. Set in the early years of the 20th century, Abingdon Square is a brilliant exploration of the freedoms and limitations of marriage. Married at fifteen to a man who might have served her better had he remained a father figure, the major character of this remarkable play outgrows her admiration for her husband Juster and begins to look elsewhere for love. Although Marion has been well educated in the dangers of scandal, she throws caution to the wind, falling headlong into the affair, allowing it to tear apart her own life and those of others until she matures enough to make the choice between romantic love and duty. 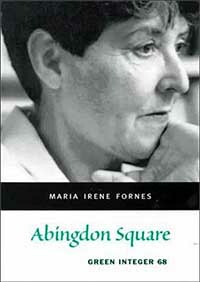 In this poetically written and emotionally precise work, described by The New York Times as Fornes's "most elegant play," Fornes reveals that a society without freedom is a world doomed to destroy itself.